Nashville Sitting / Standing Water Middle Tn Drainage ! 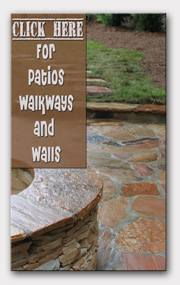 Sitting / standing water can be a real problem for some homeowners. After a strong rain just looking out of the window may create anxiety. Standing water is known to be a breeding habitat for mosquitoes, kill lawn areas, and make an area unusable in general. If the surrounding area is higher than where the water is collecting a french drain may be needed to help the problem area drain. Another solution for this type of problem could be a strategically placed drain box to collect the water and pipe it out of the area. Some areas are so low and difficult to deal with that a sump pump is actually the best action. There are different solutions for each property and budget range. So call us today to schedule a consultation at your property and you will have the guidance to either hire us or do the job yourself. For Drainage Help Contact Us! Here is a video of a recent project in Spring Hill Tn. Welcome to our Nashville Drainage site. Our company is Quigleys Landscaping. 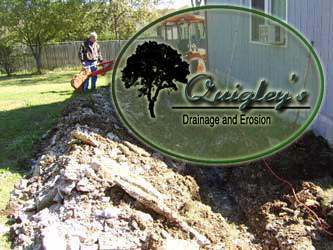 We provide Drainage consultations and solutions for the people of the Nashville Middle Tn area. Copyright (c) 2008 LandscapeNashville.com All rights reserved. Design by LandscapeNashville.com.